Safe, delicious meats. You have the skills and a great source, but you need the space. Welcome to The Locker, a game changing innovation in small scale meat production. 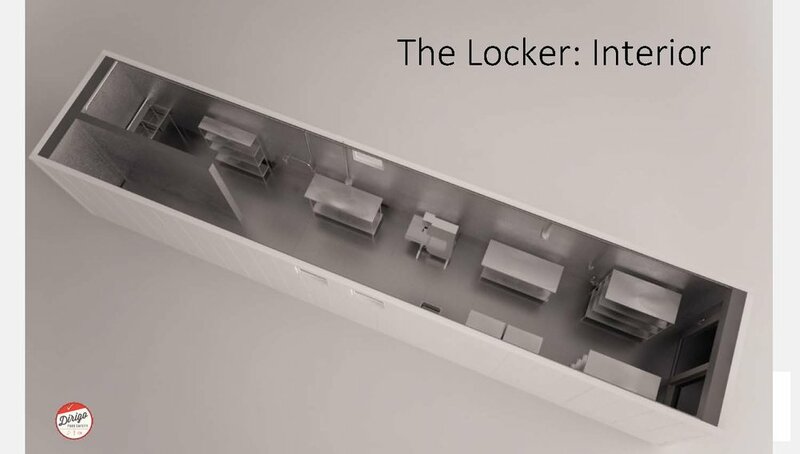 The Locker is a fully customizable modular meat production unit: an economic, efficient, cleanable and inspectable space to make small scale retail cuts and value added production. Refrigerated work space, a carcass rail system, tables for cutting, drop down desk, electric, water and sewage hookups, boot change area, and a production space with tables and outlets. Customizable to include all of the above, plus: all equipment needed for value added meat production—combi oven, grinder, stuffer, cryovac, smoker, or your preferred charcuterie production equipment.